Guerrilla Cables is a family owned and operated company that offers solutions for extending your handlebars to get that custom look and feel you always wanted. 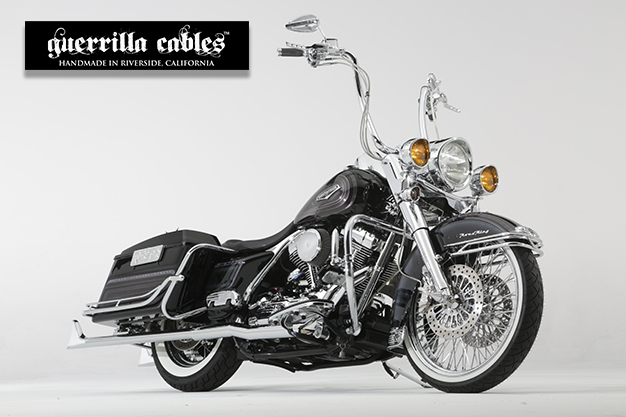 Guerrilla Cables are handmade in Riverside, California using the highest quality materials available. We are a group of motorcycle enthusiasts who enjoy working on our own motorcycles, so we know and understand how important it is to use the highest quality products when customizing any component.